There has been a rising number of health scams targeting the elderly in recent years. According to a recent report, the amount of money lost to financial abuse of the elderly in the U.S. was estimated to be more than $36 billion, which is 12 times more than previous estimates. The numbers reveal that seniors are more vulnerable than ever to scams, particularly those that are health-related. There are many reasons why the elderly are the ones being preyed upon by scammers, but one of the most common reasons is social isolation. It appears that seniors who live alone and who are without company are the ones who have the highest potential of becoming victims of health scams. As people age, changes can take place that may impair one’s ability to make good financial decisions. Scammers are aware of the fact that older adults can be easily tricked or confused as they have decreased problem-solving, reasoning, and evaluating skills. These criminals are also aware that some of their potential victims live by themselves and are often lonely, which makes them the perfect target for health scams. 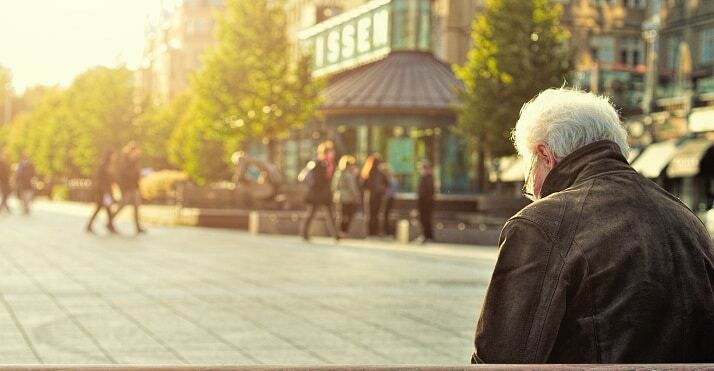 According to a study, the older population is the most often targeted group for fraud. Experts say that older persons’ loneliness increases their vulnerability to financial and health scams. Moreover, it was found that the elderly tend to be more receptive to telemarketers because they are in greater need of social interactions with the young. Seniors who lack the support of friends and family also tend to rely on retailers and service providers as a source of social support, and this practice increases the risk of being scammed or abused through deceptive marketing practices. This is why it’s crucial for younger members of the family to take steps to reach out to elders who suffer from social isolation and loneliness. According to the Better Business Bureau, one of the most frequently used scams on the elderly involve fake Medicare representatives, wherein scammers pose as Medicare workers in order to get personal information. These impostors may do their operations over the telephone or by setting up fake mobile clinics. Meanwhile, there are also those who sell counterfeit prescription drugs over the Internet, and these charlatans promise seniors that they will be able to save more money if they buy their medication online. Another example are those who sell fraudulent anti-aging products, and these vendors offer a wide array of products and treatments that are said to help the elderly gain a more youthful look. If you suspect that your elderly relative or friend is being scammed, you may want to look out for a few warning signs that they are being preyed upon by shady individuals. One of the most obvious signs is sudden changes to wills or powers of attorney. Another is if they have had sudden large withdrawals of cash or unusual purchases. You should also be on your guard if your elderly loved one claims to have met a new friend on the phone and is quite secretive about their conversations. There are several ways to protect your elderly loved ones from being scammed. First, advise your relative or friend never to wire or transfer money especially if they are being pressured to do so. Health scammers often claim that their product is on a special offer for a limited time only, and this adds pressure to buy. You can also tell your relative not to give out personal information such as social security numbers, banking information, or credit card numbers. Make sure to drop by your loved one’s home regularly to check on them and to help them from becoming lonely or socially isolated. Encourage them to join book clubs, crafting clubs, or perhaps they could take some ballroom dancing classes to help them build social connections and give them a sense of belonging. By following these tips, you can help your loved ones from being scammed. Be aware, advise them to be cautious, and make it a point to stay in touch with your senior relatives regularly to help them avoid being victims of health scams. What a great post. I think this is something really overlooked by people. Talking to your elderly loved ones about scams is huge. Thanks for sharing!